Hello this is Tak (aka Tone) from Imari Tones, Japanese Christian heavy metal band. Earlier last month, I took this old hard disk drive and checked what was in there, just because I wanted to archive our past works including audio and video. What I found among many things was a funny set of movies; Movies of the sky. Those movies were dated in 2006-2007. All of them, just movies of skies. Sunny skies, cloudy, some raining, looking up from the ground. Then I remembered what they were for: I wanted to make a video for “Skies of Tokyo”. A song we recorded in Germany. If you don’t know (well, this band has a long history), we have an experience of recording songs with a renowned producer from Germany. In September-October 2006, we Imari Tones flew to Germany and recorded 3 songs with Sascha Paeth, a famous producer who worked with Angra, Rhapsody of Fire, Kamelot, Edguy, and Avantasia (Wow). The songs we recorded there (at the Gate Studio, Wolfsburg, Germany) were Karma Flower, Iron Hammer, and Skies of Tokyo. Although we didn’t get a major release in Japanese music industry, those 3 songs were included in our independent release “Japanese Pop”, the first album we have sung in English, also the last album before we became a “Christian Band”. Now these 2 songs out of 3, Karma Flower and Iron Hammer, they have been a staple of our live show set list for a long time now. However, this song “Skies of Tokyo”, we haven’t played live for a very long time. Actually, if my memory is correct, we have played it just once. So I thought it was good time to put some spotlight on this song again. Now I made this music video, using those movies of skies and live show footage. 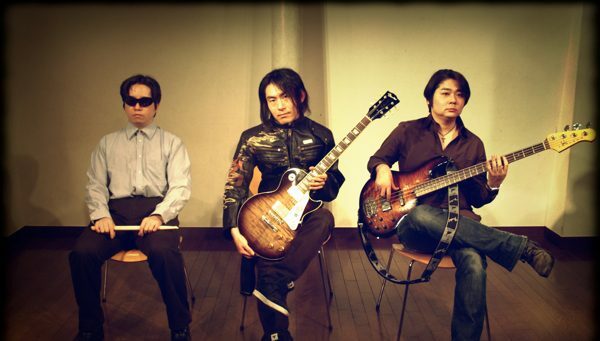 This lineup that flew to Germany and recorded “Japanese Pop” album (Tone -Guitars&Vocals, Baba – Bass, Haratti – Drums) only lasted for a couple of years, 2006-2007. After that, I went on and started the band all over again, to become a Christian Heavy Metal band soon later. Surprisingly, this lineup (Tone – Baba – Haratti) played only 3 live shows in public. This song “Skies of Tokyo” is a heavy metal ballad type song, with some melodic&soulful guitar playing. The song is basically about the environmental issue, about how we human beings are destroying mother nature without knowing it. I think it sounds more realistic and impending after the Fukushima nuclear power plant disaster happened in 2011. Maybe it’s good time for us to play this song live again. So just for your listening enjoyment, these are the other 2 songs we recorded with Sascha Paeth in Germany. Those songs are on the album “Japanese Pop”, still one of our most popular albums. It’s available on iTunes, BandCamp and other places. This was actually the first song I sang the word “Jesus Christ” in the lyrics. We are going to post more stuff on YouTube this year. Both old and new stuff. Next PostCalling Records: Christian Rock label in Japan!